Hello! Hope you've all had a fun weekend. I'm working today so spare a thought for me if you're lazing around in your onesie and enjoying the Sunday that everyone deserves! *feeling sorry for myself* Anyway, I hope you like this week's outfit. I'm managing to get more outdoor pictures now which I love - not the best scenery admittedly, but better than my living room door. I am obsessed with H&M at the moment.They have some lovely prints in just now, and the one on this long kimono caught my eye straight away. It's a bit longer than other kimonos I've seen, which I think makes it more of a statement piece that doesn't really need much else going on around it. I dressed it down in the outfit above, because we were just going out for dinner. But I think it'd look really nice over a black cami dress with sandals if I wanted to dress it up for a night out. Oh, and one last thing - I finally decided to branch my blog out to Facebook this weekend and set up my own page! So if you'd like to get Facebook updates for my new posts, you can head over and like my page here! Do you like this outfit? How would you style this kimono? 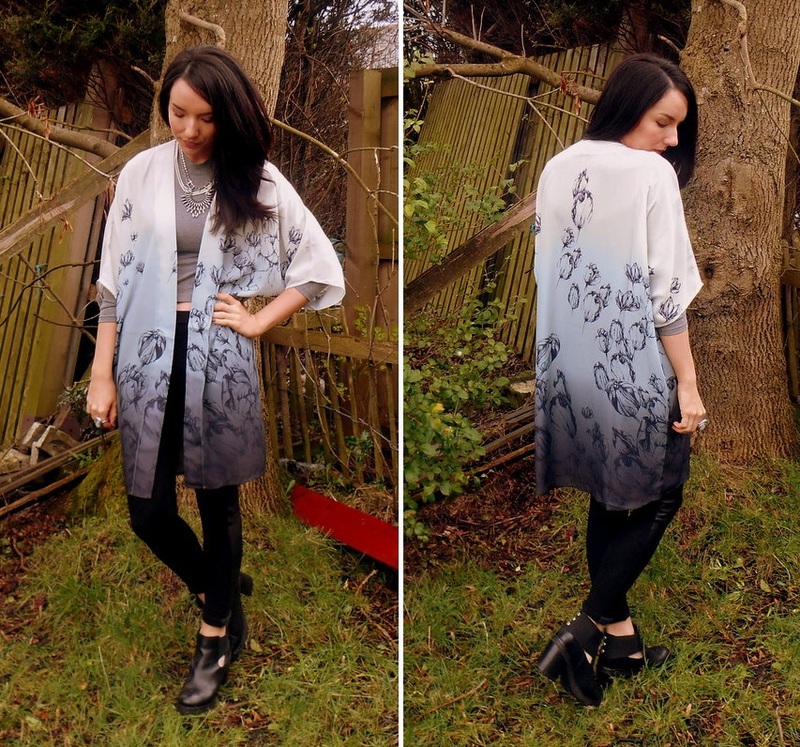 14 comments on " OUTFIT || Kimono in the Garden "
I really want a kimono and it needs to be this length.